In 1993, Smyth & Helwys released the book Learning to Dream Again, by noted pastor, teacher, and writer Charles Bugg. The book told of Bugg’s son David, whose malignant brain tumor sent David and his entire family down a path filled with the pain of medical tests, surgeries, and radiation, as well as the disappointment of dreams which may never be fulfilled. The response to Bugg’s story in Learning to Dream Again was overwhelming. 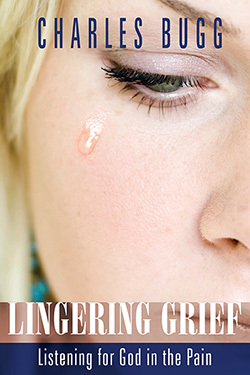 Fourteen years later, Bugg has updated the story in this new book, Lingering Grief. Not only does this new book continue the story of David and his family, but it also considers the stories of countless others who connected to the earlier book and who shared with the author their stories of dealing with the lingering grief of their pain and, indeed, learning to dream again. When the outcome of life isn’t what you expected, it’s OK to question God. That’s part of the message of Dr. Charles Bugg’s new book, “Lingering Grief,” which was released this month. Both books tell the story of Bugg’s son, David, who in 1983 was diagnosed with a malignant brain tumor. David was 10 at the time. David turned 35 last Saturday. “Between radiation and surgery, David was left with cognizant deficits,” Bugg said. “So much of life is lived with expected changes — you know some things are going to come,” Bugg said. “I began to think about what do we do with a situation with no funeral but a loss the same,” he said. As a minister, Bugg has travelled different places to speak about David’s story. It is the responses and stories in return Bugg relates in the new book. “I’ve been amazed by their stories — the ability to adjust to what we can’t change,” he said. While Bugg firmly believes faith is strategic to our lives, the book is not written from a Christian perspective. Bugg is open to speaking to churches and other groups about the book and can be contacted at Gardner-Webb at (704) 406-3046. Copies of the book are available at Zion Baptist Church and at the GWU bookstore for $14 each. “The grief continues. Certainly, time and perspective bring healing, but we see a person whom we deeply love and wonder what may have been. We don’t have a funeral that at least brings some finality or gives us a point in time from which we can begin to reconstruct our lives ….